Finished with a stunning blue hull, sleek lines and a graceful profile, SOLSTICE combines modern luxury with ultimate performance that is ideal for entertaining and extended cruising with family and guests. SOLSTICE is extremely versatile and is in impeccable condition. Features include a 'one-of-a-kind' hydraulic Bimini top, underwater LED lights, Volvo's dynamic positioning system and IPS pod drives plus a great av system. She has completed her annual dry dock maintenance for 2017 and is now available for inspection in Fort Lauderdale. SMALLER TRADES CONSIDERED. December 2016 Annual yard updates: New bottom job, prop-speed and zincs, Engines, Pods and Generators serviced. Built and delivered in late 2013, SOLSTICE is a one­-owner yacht from new, maintained daily to a meticulous standard. She boasts extremely low hours, IPS Pod drives for responsiveness, performance and exceptional maneuverability plus Volvo's Dynamic Positioning System. She features an extensive list of additions which include a 'one­of­a­kind' custom stainless steel hydraulic powered Bimini top. A completely customized sound system allowing you to switch zones between salon, aft deck or fly bridge, her OCEAN LED underwater lights add to the evenings fish sightings and with the added security system, you will sleep peacefully knowing your Captain will be notified of anyone coming onboard. Featuring Custom Royal Pedic matresses as well as custom linens and bedding for the ultimate in comfort. High Definition Satellite Dish Network TV keeps you informed or entertained and a Williams 385TJ jet tender sits on her hydraulic swim platform ready to zip you to those remote beaches. The spacious flybridge is equipped with a wetbar offering a BBQ, icemaker and drinks refrigerator making for another great entertaining area. Finished with a stunning blue hull, sleek lines and a graceful profile, Solstice combines modern luxury with ultimate performance that is ideal for entertaining and extended cruising with family and guests. Solstice is extremely versatile and is in impeccable condition. Having just completed her annual dry dock maintenance in December 2016 which included Volvo engine, pods and generator service as well as new bottom paint, new zincs and prop speed. She is ready to go! 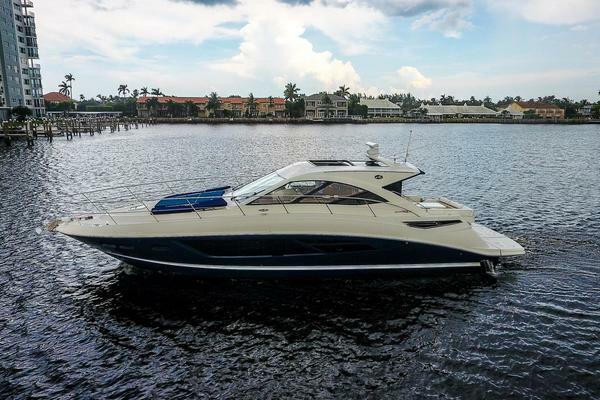 Currently available for inspection in Fort Lauderdale, FL. SMALLER TRADES CONSIDERED. BRING OFFERS!